Are you looking for an alternative treatment for your furry friend? I was born and raised in Hokkaido, Japan. I am a certified canine acupressure practitioner certified by National Board Certification for Animal Acupressure and Massage (NBCAAM). I have been a massage therapist for over 10 years in Hawaii as well. I am also an instructor of Tui Na massage at an animal school in Japan since 2015. I have been an animal lover all my life and have dedicated the last few years to learning how to bring health and wellness to the lives of our pets. My passion is to work with animals. My pet health consultations are based in TCM (Traditional Chinese Medicine) to address the root cause of an illness, not just the symptom. I can come to your home or stable, as it may be beneficial for your animals to be in their own environment and familiar surroundings. I also provide "Hoaloha Pet Sitter" started on March 2018 as I am saying loud "Pet home alone? I will take care of your beloved friend". "Hoaloha" means "best friend" or "companionship" in Hawaiian. In 2003, I launched a pet sitting training program in Hokkaido, Japan. I have educated and put my students in practical training as I was the founder of the program in Japan. I also taught how to walk beautifully with your dog. I was the very first graduate from "Pet Loss Association" in Japan, and I was on a TV program as a certified para counselor. 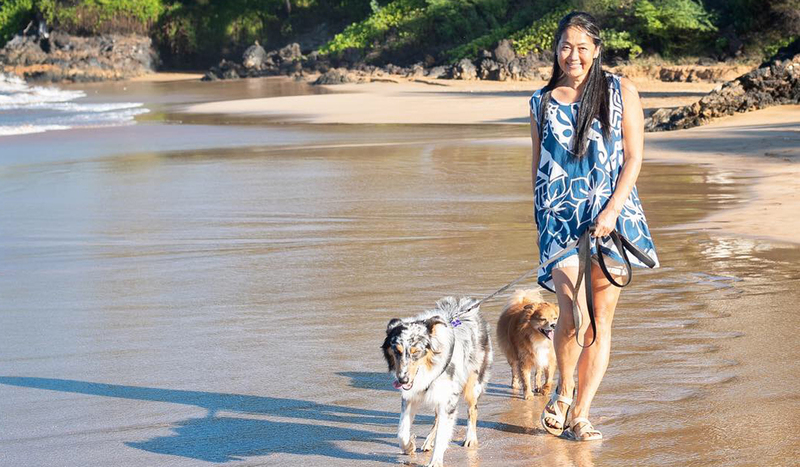 Hoaloha Pet Sitter will take care of your pets while you are away. I will make sure your pet's physical and mental health are good. Not only pet sitting, but also TCM based animal massage would be provided upon request. Live camera is also available with additional charge to check to see how your pet is going.